I know that by the title you’re expecting photos of hippos and elephants dressed in tuxedos serving me martinis and cigars, so I’m sorry to admit that you wont find that in this post. Instead, you’re about to hear about how exhilaration one day can turn to boredom the next in the life a travel journalist. 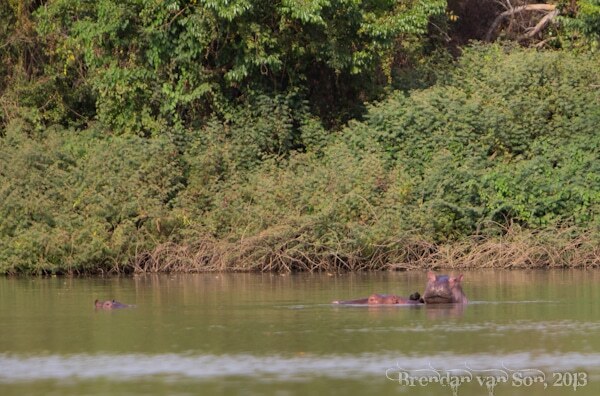 How can one become bored by the sight of hippos playing in the river a couple dozen meters away from them? Well, one way is to have a massive elephant only a half dozen meters from you the day before. It’s a hard life, I know, living in a world where watching hippos in the river can bore you, but sometimes when your life gets too good it’s hard to appreciate a moment which had given you a buzz of excitement just a couple weeks before. 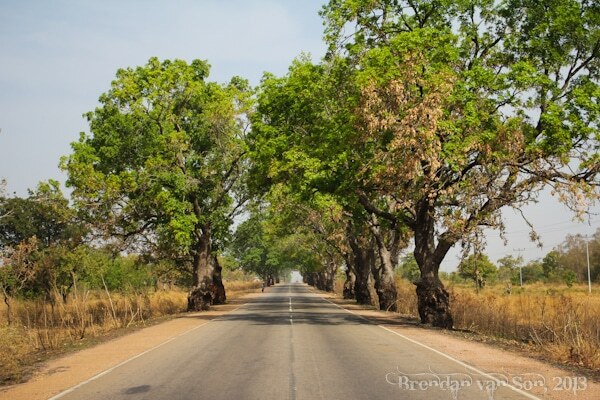 It was an experience so intoxicating that when I heard of the presence of hippos near the northwestern city of Wa, Ghana I slogged my way all the way across the country to go and see them. But unlike the first time which was exciting, a rush and a powerful moment in which I really felt an intimate moment between myself and my wild partner, this felt a little bit dull and superficial. I’d be lying if my visit to the Wechiau Hippo Sanctuary, which is funded by my hometown Calgary Zoo, didn’t leave me a little bit bored. As I sat in the boat with the guide watching the hippos bathe themselves off in the distance, I took a few photos but I’d be lying if the back of my mind kept wondering when the guide was finally going to take us away. The truth is that I feel horrible about my apathy. I know how many people would have done just about anything for that experience; I felt like a man dating a world-famous supermodel he just didn’t really love. 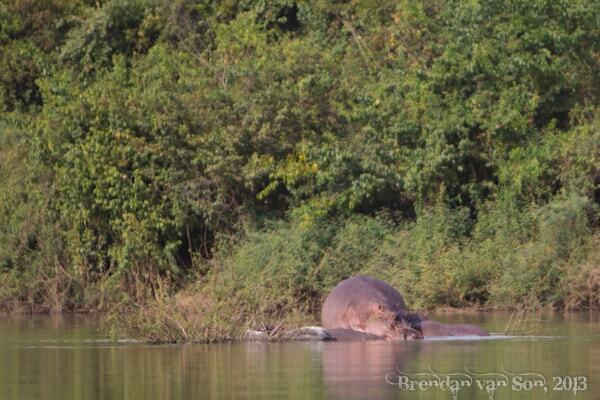 At the end of the day, maybe hippos are just a little bit boring during the day. They really just float around keeping cool all day don’t they? 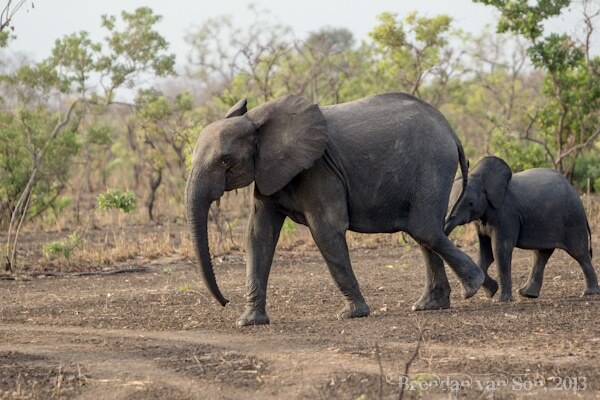 Or maybe after two weeks of being chased by elephants, watching bush buck and kob dancing through the forest, and laughing at the attitude of playful baboons, I’ve just become spoiled. Like anything in life, too much of a good thing causes you to forget how special it is. Unfortunately for me, life has been good for far too long and part of me worries that I’m at risk of losing the pink shade in my rose-coloured glasses. Part of me wonders if I’ve had too much good, and now I’m starting to desire danger, the next natural step. Or maybe… hippos are just boring. First time I saw a hippo and elephants ( and other animals) in wild in South Africa in 2008, it was amazing experience, we went few times in different parks, I miss it so much now! Nice easy going that’s what they want you to think so you’ll let your guard down. They kill more people then lions and croc’s put together. Like the saying goes it’s always the quite ones you need to watch. All that aside you must be having a blast I know I would be! Really!!! I don’t think so that they are boring… They are dangerous enough if anybody will chuckle with them, you can’t even imagine it. It’s good to say hello & Goodbye to them from a dozen or a couple of dozen meters away.